I have wanted some Chinese food for a while now. Since one of the teens eats it like its going out of style and the other teen gags at the thought- sight and smell of that sort of suggestion/smell. So I do not make much of it - usually pick some of it up when the 'gag teen' is out of the house! LOL.. I am sure you have figured out which of the teens is which (boy vs. girl!). I made these chinese take out boxes in masculine colors - put fortune cookies in them, with my chocolate. ﻿ This box can fit so much.. cupcake, muffin, 5 cookies (depending on size), 6 chocolate covered pretzels, countless Hershey Kisses -- endless. My hearts are crimped and sponged. ﻿The Graham Breakaways are from Lick the Bowl Good and can be found here. I added dried Cranberries to the top - she has it listed as a suggestion, and boy was she right! Now I tell you this - but you must keep it secret.. this bag has about 6 pieces in it - currently is no where to be found in the house... while I was checking email I ate it... every last piece. So I had good intentions.. now I will have to make more and quickly send to receipents.. that stuff is way too dangerous to me! Who doesn't love graham crackers, chocolate, pecans, toffee and cranberries!!! OK. enough or I am back to baking! 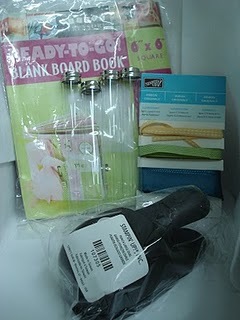 DONT FORGET TO LEAVE ME SOME LOVE/COMMENTS - TO ENTER YOUR NAME INTO A DRAWING FOR SOME BLOG CANDY. Chera, that recipe sounds awesome! I am going to make it for the youth group bake sale next week. OMG... Look at you go girl! You are making some FAB projects. And I love the "fortune cookies". Great job! Will you please stop it -- now I have to go up and fix me some lunch which does not even sound good because it is blah food. I want your desserts. Love the boxes and love what is in them!! very cute Chinese take out box! The goodies look yummy too. Cute take out box. The goodies look yummy! Oh my goodness!! You're definitely on a roll for yummy treats and beautiful boxes to put them in. The fortune cookies are fun! Very nice! Super Cute! Love the fortune cookies! TOO CUTE! Deets on how to make the take out box with fortune cookie, please! Hello there, Your creations are amazing. I love this blog! You are making me hungry!!!! 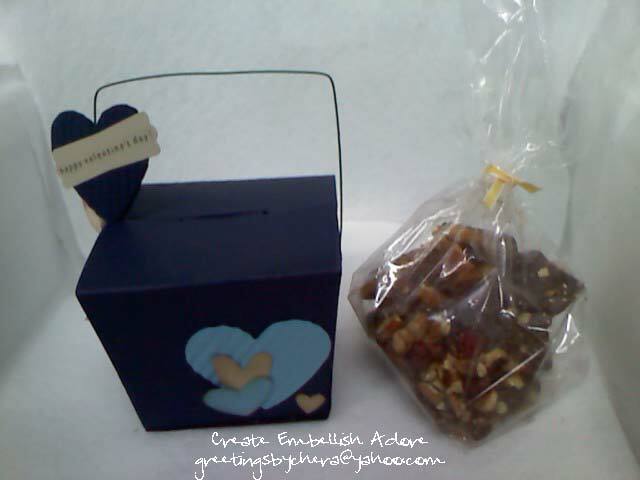 I'm in for Blog Candy and the Box tutorial if one is avail. This is a keeper!